Here at BubblyBride, not only do we love all things bubbly, we have a tiny coffee obsession. 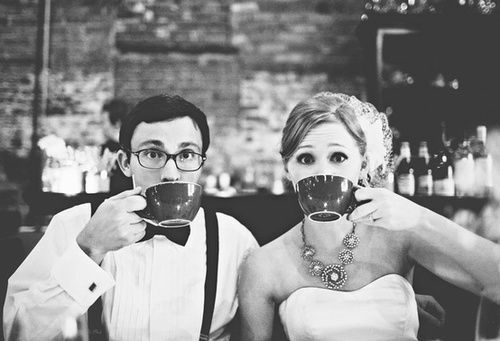 One of our favorite additions we’ve seen at weddings is a classy coffee bar for your guests. 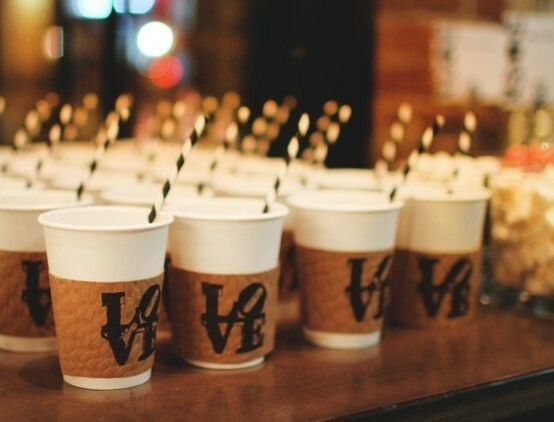 We see coffee bars most often at brunch weddings or after dessert treats. 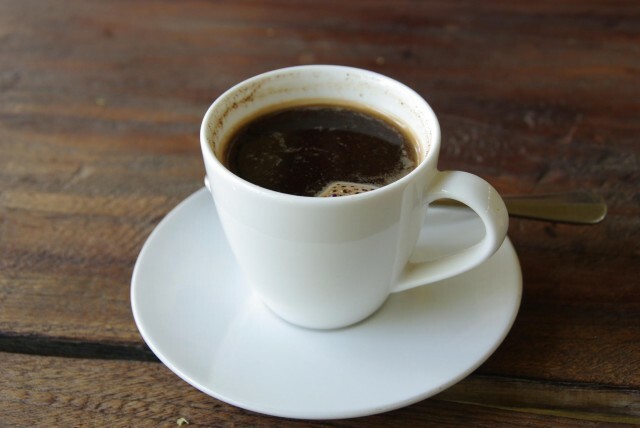 First, Pick out your favorite coffee brand and style. Design your guest’s cups with your monogram or in a color to go along with your wedding theme. 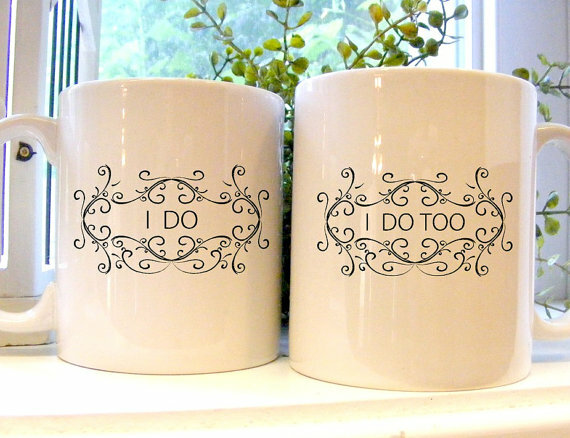 I love these adorable I do… I do too coffee mugs off Etsy. Find mugs that represent you as a couple, pick out a black and white mug for the bride and groom or customize your own mugs to have special sayings. At the end of the night let your guests fill bags with whole coffee beans for them to take home and grind themselves. They get to enjoy fresh coffee in the morning while they are remembering the great evening spent celebrating with you! You can do this by picking coffee from around the world that represents places you have traveled as a couple or your heritage. Also, if it’s a cooler evening, offer hot drinks and if it’s a warm summer morning plan your coffee bar around frappuccinos and iced coffees. Coordinate the coffee flavors with the season (peppermint, pumpkin, etc.) 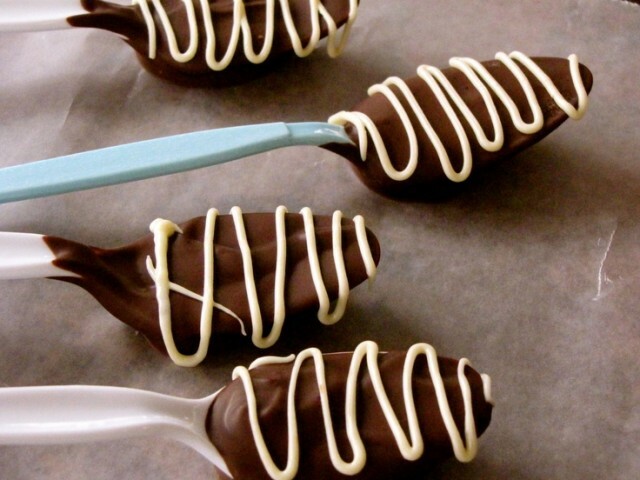 or tie them to your cake flavor such as vanilla hazelnut coffee with hazelnut filling in your cake. This is the fun part. The wow factor at your coffee bar. This can be done by chocolate dipped stirring spoons, fun toppings like whipped cream, sprinkles, cinnamon shakers or homemade cookies to eat while the sip their cup of joe. 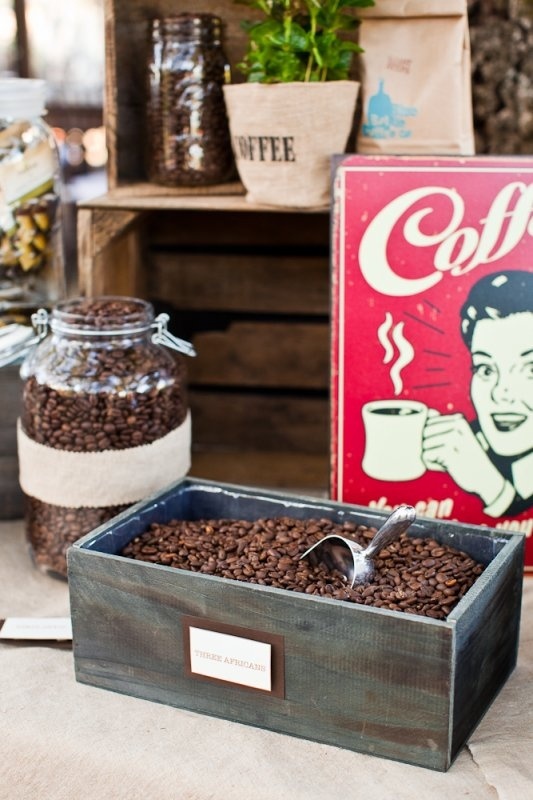 Are you hosting a coffee bar at your wedding? What are you adding to make it unique to your special day?